The Flos Toio with dimmer is a real classic among the floor lamps which can now be operated using a dimmer and which was equipped with a modern illuminant. An outstanding feature of this floor lamp is its ready-made character that adds a special touch to every environment. When working on the classic design of the Toio with dimmer from 1962, Achille Castiglione was inspired by the well-known artworks of Marcel Duchamps. This way, the unconventional floor uplighter becomes the epitome of eccentric and simultaneously functional design. This floor lamp from the Italian light manufacturer Flos is provided with a car headlight that serves as the light head, a corresponding transformer and profiles consisting of semi-finished products forming the luminaire body. Eyelets that are part of the angling equipment are also used for the Toio. 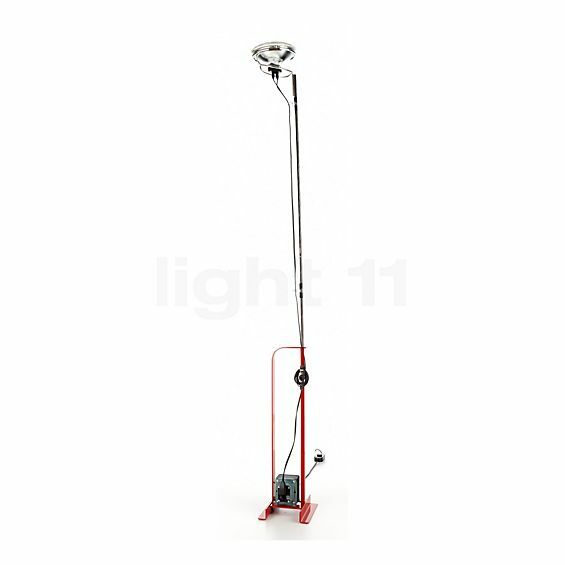 This floor lamp is available in black, white and red. The Toio with dimmer Floor uplighters was designed by Achille Castiglioni in 1962 for Flos. Car headlights serve as the charismatic light head of the Toio. The height of the Toio may be easily adjusted. When it is retracted, the cable can be rolled up using a practical hook. The characteristic transformer in the base provides the Toio with a stable support. The Flos Toio with dimmer emits its light towards the ceiling. From here, the light is softly diffused into the room, thereby creating indirect basic lighting. 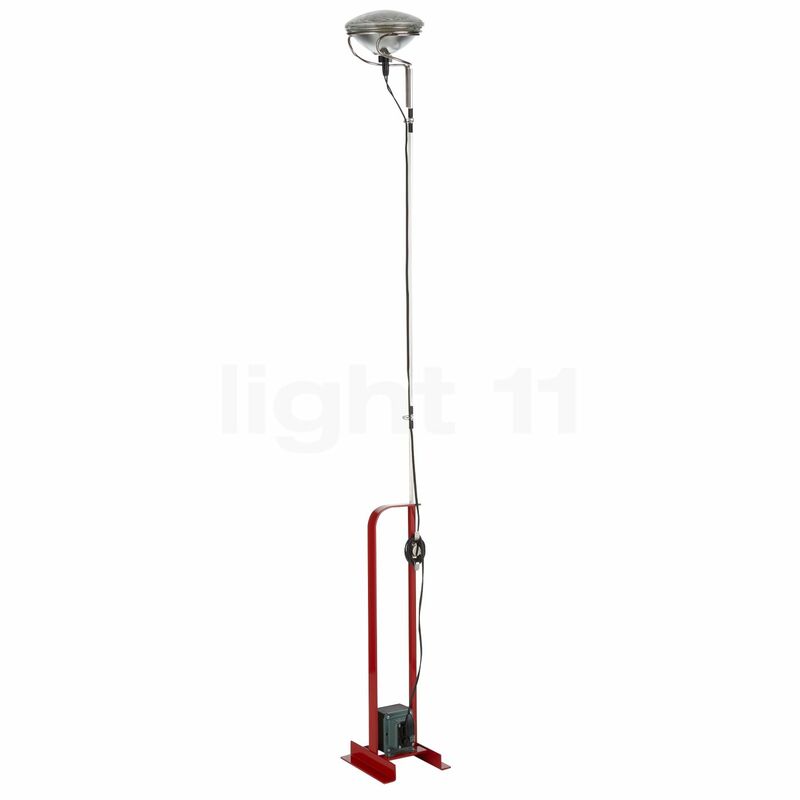 Moreover, the light intensity of this floor lamp can be conveniently controlled by means of a dimmer on the supply line. This way, the floor lamp produces a cosy ambience. The Toio with dimmer from Flos is delivered including the car headlight. 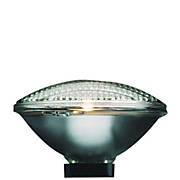 This general-purpose lamp with a power of 300 watts supplies warm-white light with a brilliant colour rendering. Tell other customers and us about your experiences with the Toio with dimmer ! The preferred fields of application of the Flos Toio with dimmer are the living room and the dining room. Here, this floor lamp not only represents an expressive decorative object. Thanks to its light emitted upwards, it also serves as a floor uplighter that ensures an indirect, soft and uniform ambient lighting. This means that the Toio light from Flos creates a harmonious ambience that invites you to sit back and relax. Moreover, the pleasant lighting mood can be individually controlled: the shaft of this floor lamp can be adjusted in height, the dimmer on the cable allows the light intensity to be controlled. Thanks to these properties, this floor lamp is also very much appreciated in a study.